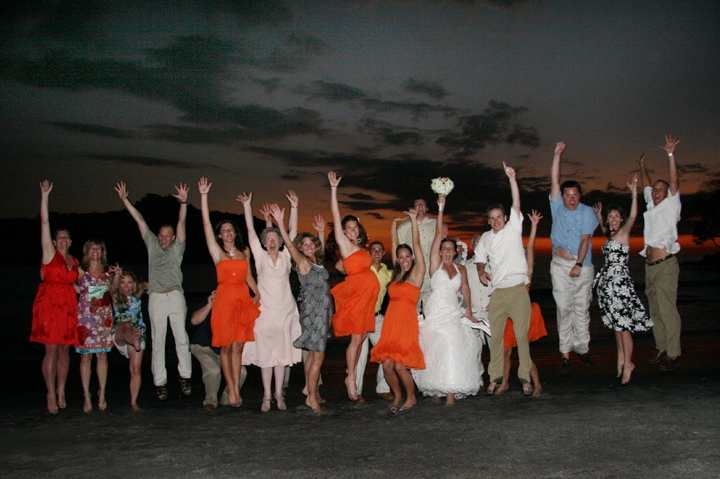 What style of wedding photography do YOU like? There are quite a few different styles of wedding photography, what do you think would suit you?? ..What’s chic? But what would Great Auntie Vera like? What would you like hang on your wall? What will still look good on your mantle piece for your 40th wedding anniversary?! Traditional style wedding photography up to about 15 or 20 years ago WAS Wedding Photography, but in recent years it has gone a bit out of fashion. Most people think of traditional wedding photography as hours of tedious, group photographs, “The Bride and Groom with his family”, “the Bride and Groom with her family”, “the Bride and Groom with the ushers” etc. Even though it is a bit out of fashion, don’t disregard it completely, traditional photography has stood the test of time and will always produce photos that you will look back at over the years. 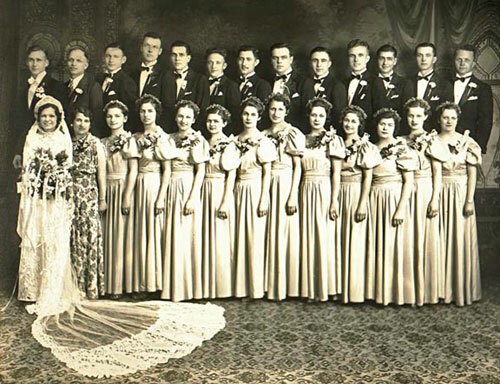 Great Auntie Vera will expect this type of picture from your wedding and even through it is not fashionable at the moment these will still be the pictures you see hanging on walls. Plus you can get some fun group photos and it doesn’t have to take hours, just a few photos with you family and best friends. 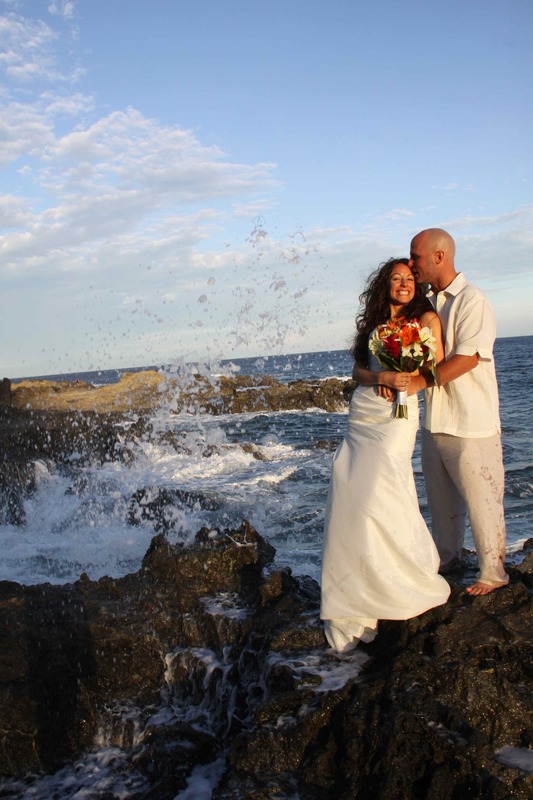 How about Photo-journalistic Wedding Photography? This is more in fashion at the moment. 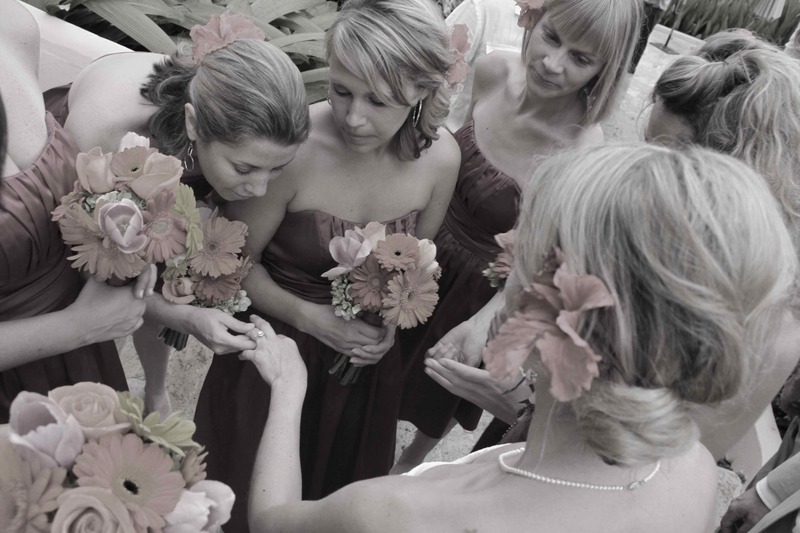 A photo-journalistic approach will give you a story of your wedding day, recording the events as they happen. There usually is not any formally posed pictures and the photographer stays in the background and photographs various parts of the day. At the end of the day you will have a photo album of what went on, which will always bring back happy memories. However, the disadvantage is that you are relying on the photographers instincts and they may miss something important to you. You may also regret the lack of formal images of friends and family in your album. What is Contemporary Wedding Photography?? This type of photography uses beautiful backgrounds and perfect of interesting lighting to make the set and the bride and groom appear idealized – when done properly the results can be stunning! These will be the pictures that look like they have come from magazines. This type of photography makes you look FANTASTIC, but the downside is as fashions and style changes it will date quickly and it may end up looking a bit behind the times! So what will work for you? Well, it is ultimately up to you, but I would recommend a mix of all three types of wedding photography…The most important thing is to relax, enjoy and have fun with the photographs and they will always to special memories of you fabulous day! 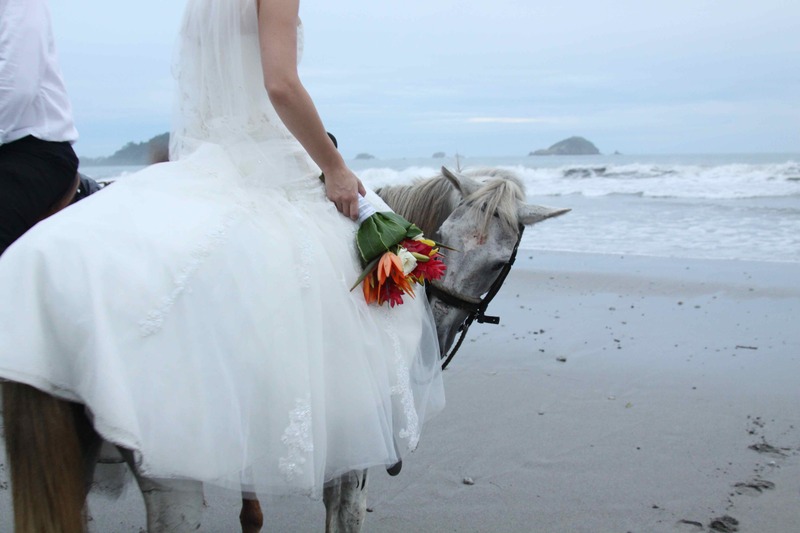 This entry was posted in Destination Wedding Photography, Manuel Antonio, Costa Rica, Photography in Costa Rica, Wedding Photography and tagged beach wedding, costa rica, costa rica photography, costa rica wedding, destination wedding, destination wedding costa rica, John Williamson, manuel antonio, manuel antonio costa rica, Photography, wedding, wedding costa rica, wedding manuel antonio, wedding manuel antonio costa rica, wedding photographer, wedding photography, wedding planning. Bookmark the permalink. I love the juxtaposition of the first two images – Really demonstrates the difference in style, the difference in times.